Peaceful living on a cul-de-sac street! Beautiful hardwood floors abound! The stairs have been updated with hardwood and iron railings. There are 3 bedrooms upstairs - the master has a fireplace and a sitting room! The main floor office could also be used for a bedroom. This home offers generous sized rooms throughout. Enjoy the finished basement with a bedroom, bathroom, family room and storage. All the windows on the 2nd floor are new and some on the first floor have been replaced. The back yard is ready for family fun w/a stamped concrete patio, gas line for the grill and a storage shed for lawn equipment or extra storage. 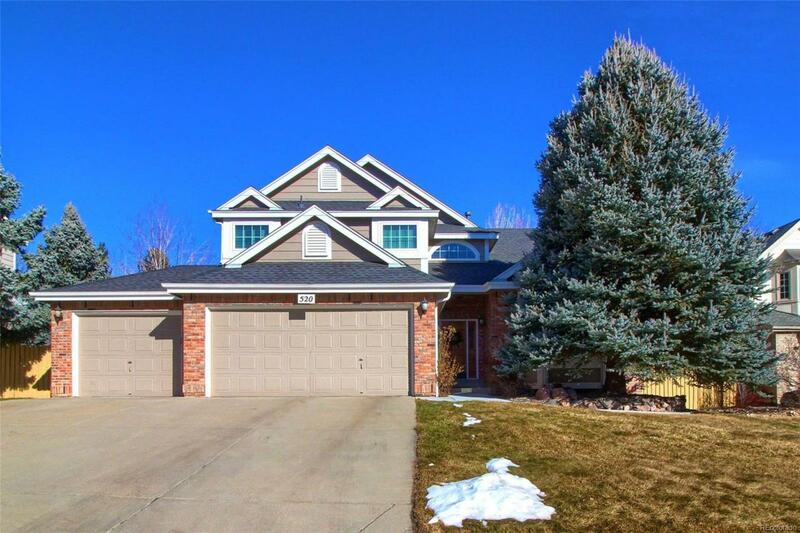 This location in Rock Creek is walking distance to Superior Elementary, a community pool/tennis courts, multiple parks and playgrounds. There are miles and miles of trails and sidewalks throughout the neighborhood. It's a great place to call home!